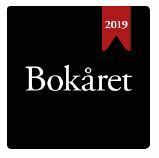 2019 is panning out to be a very significant year for Norwegian literature, with a year-round initiative across the country, and international exposure beyond anything we have seen before, with Norway being the country of focus at the world's biggest book fair in Frankfurt. 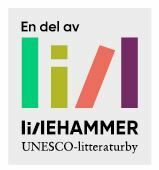 Of course, the Norwegian Literature Festival will be contributing to both of these events. As part of the opening performance the Bjørnson Prize will be awarded to the Danish author Carsten Jensen. The Norwegian Dobloug prize will also be presented. Last year's Dobloug prize winner, Vigdis Hjorth, is one of the authors you will see performing on the opening night, together with author and actor Gine Cornelia Pedersen, author and stage artist Fredrik Høyer and the dance duo Th´Line, who will perform a scene from Lars Mytting's epic work Søsterklokken. Music: Gaute Tønders. Lighting: Øyvind Wangensteen. Director: Mattis Herman Nyquist.